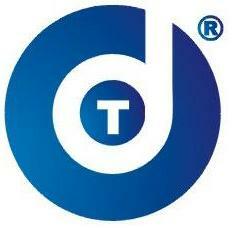 Discturnkey founded in 2000, located in Futian Free Trade Zone, Shenzhen, China. Now, Discturnkey Solution is one of the global leading suppliers of packaging, and turnkey software manufacturing. We specialize in full disc replication and media packaging. Our comprehensive range of services includes DVD/CD replication, DVD/CD cases production, software packaging and printing, kitting and assembly. We also offer our customers customized outsourcing, inventory management, value-added logistics services and import & export trade. Being the forerunners in the Video Cassette Tape and Disc industry, our affiliated companies have been licensed by JVC, SONY and Phillips and working with numerous famous brands over 20 years. We are producing 30million pcs discs and over 50million pcs cases and packaging over 10million products per month to all over the world. We are committed to operational excellence results in consistent execution and superior value for our customers. We are also committed to ensure the copyrights and intellectual property rights of our customers are fully protected. Discturnkey and partners with our clients to help them deliver ?The Perfect Order ?to their end customers by providing right product, at the right place, at the right time for the right value. DVD-5, DVD-9, DVD-10, Mini DVD-5, Hockey rink (Oval) DVD/CD, Business Card (Wallet) Disc, Shaped Disc, Crystal Disc, Vinyl Disc.